This is what happens when I'm left alone with the pugs for too long. Love. 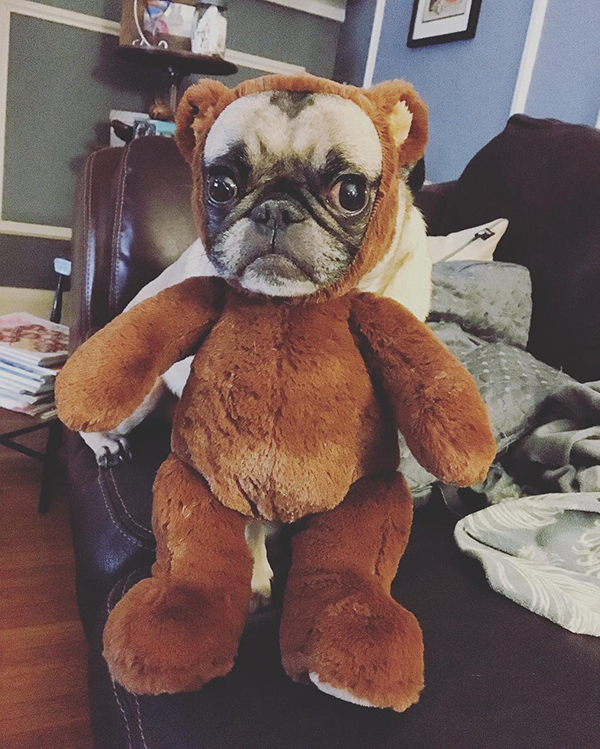 Is that a pug costume or did you take the face off a teddy bear? Such a perfect fit. I just cut the face off a teddy bear and pulled out the stuffing. I felt kind of bad doing it but it's so funny!